Fairport Baptist Homes is 100+ years old and well known as “the nursing home on the hill.” Like many senior living facilities, this organization has evolved with the times to offer seniors the ability to stay home safely, rehabilitation when they’ve been injured or had a hospital stay and aren’t ready to go home, or want to live with other seniors in a variety of housing options — assisted living, skilled nursing, and independent housing. The problems include: nobody knows about these options and FBH wants to attract the people who could most benefit from what they have to offer. Needless to say, no comprehensive marketing initiative has ever been undertaken so naturally the market has defined them inaccurately. With that in mind, we began with 1:1 interviews with key board members, managers, and staff. We did extensive focus groups with seniors and their caregivers, and followed that up with online surveys. We not only explored their attitudes toward senior living options (which no one wants to think about until they’re well into their 80’s) and their attitudes toward charitable giving to a non-profit senior living facility (doesn’t insurance cover that?). With all those misperceptions, we designed a campaign that fit well with their brand personality. At Fairport Baptist Homes it isn’t about the beautiful countertops (though they have those too) it’s about the care they provide. That’s why we focused the campaign on the caregivers at FBH because when we talked to them about their experiences with seniors, they moved us and we think they will move you. 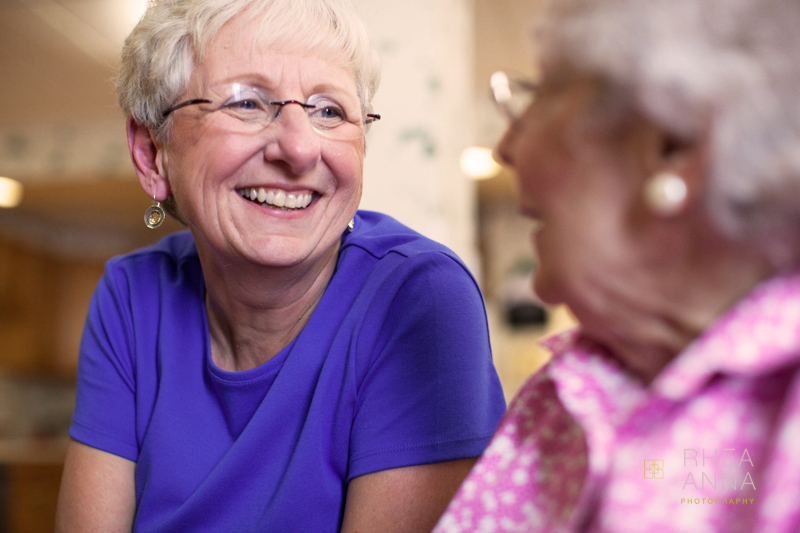 Take a look at the online videos and see if they don’t change your mind about what senior living is all about. We ran their first ever TV campaign.